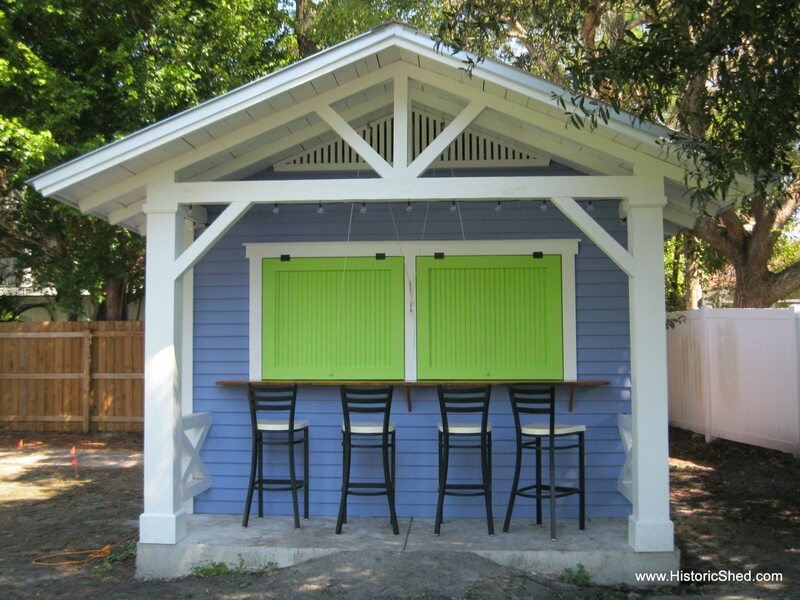 Historic Shed was approached by a homeowner in Palm Harbor to design and build a custom shed to serve as both storage and a covered family bar seating area. 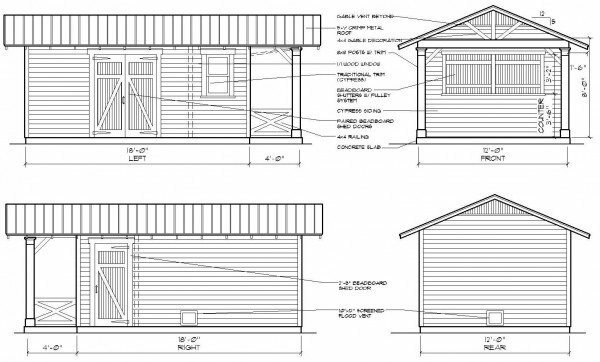 The shed we designed and built is 12’x18′ with a 4′ covered porch area. 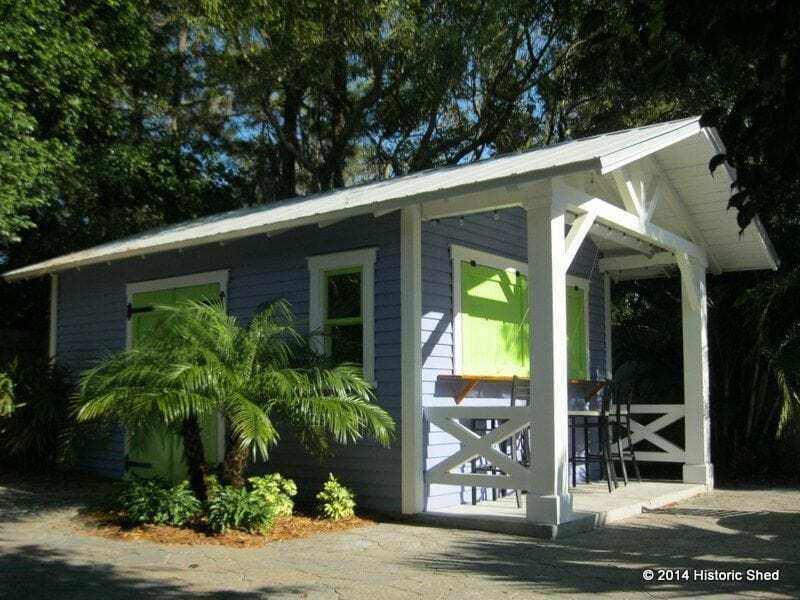 The shed was divided by an interior wall into a 13′ storage area and a 4′ bar area to house snack and drink storage and a television. The storage area is accessed by a double set of carriage house style doors on the side. 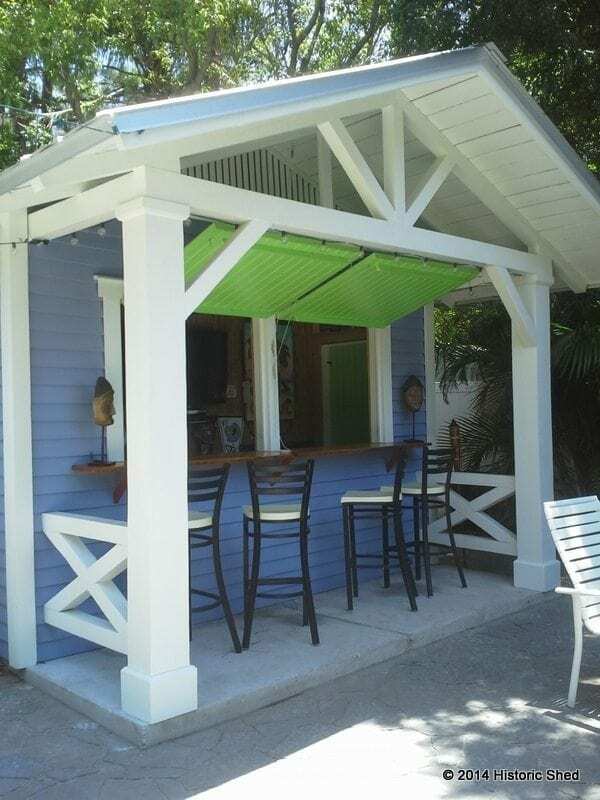 The bar area has a single door access on the side and two awning covered opening with a wide cypress counter-top. The awnings are opened using a pulley system. The project is delightfully accented by a tropical color scheme. The other side is close to a fence, so if difficult to photograph. If I can find one, I will add it in to the post above. wow! what a beautiful design that is! Sheds are looking amazing. I’m planning to set up this kind of shed in my backyard. Would you please tell me the pricing ? Thank you! So glad you like it. You can see our base pricing on our Gable Sheds and Hipped Shed pages. Photos with the shutters up are included in this post for those that asked.